Blue e-commerce button on keyboard. Photo courtesy of Shutterstock. A successful career in ecommerce stores involves being able to effectively incorporate merchandising and digital marketing. 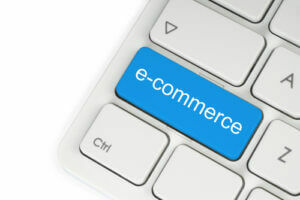 The ecommerce industry has witnessed impressive growth over the years with numerous job opportunities available. 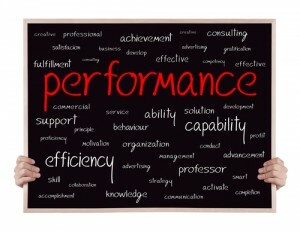 Performance written in red around other related words on a chalkboard. Photo courtesy of Shutterstock.